Who doesn’t love bookmarks? The promise to remember an interesting website and visit it later when you will have more time to enjoy it. The endeavor would be easier if you hadn’t bookmarked several hundred cool sites over the past dozen years. Fortunately, someone invented the Bookmarks Bar, that space for all the awesome sites you do visit regularly, like MakeUseOf. Sadly, there will always be more favorite sites than space on the Bookmarks Bar. But there probably is room for improvement. This article demonstrates how you can make the most of your bookmarks and the limited space on the Chrome Bookmarks Bar. Cleaning up your bookmarks will help you re-discover long forgotten gems and with the tips for best use of the Bookmarks Bar, you will be able to showcase them. If you are not fond of the Bookmarks Bar at all, but would prefer to make better use of Chrome’s New Tab page, look no further The Idiot's Guide To Adding Website Bookmarks On Your Google Chrome New Tab Page The Idiot's Guide To Adding Website Bookmarks On Your Google Chrome New Tab Page For the past couple of years now, I have more or less been exclusively using Google Chrome as my day-to-day work browser. It is simply one of the best products that Google has ever produced.... Read More . The Chrome Bookmarks Bar offers instant access to your most favorite sites. You can open and close it with the keyboard shortcut [CTRL] + [SHIFT] + [B]. Alternatively, click the customize icon in Chrome’s top right, expand the Bookmarks entry, and check or uncheck Show bookmarks bar on top of the list. Chances are your bookmarks are a huge mess. Don’t despair, mine didn’t look very nice either. Before you start cleaning up your bookmarks manually, however, use a tool to purge duplicates, dead links first, and sort bookmarks. There are two Chrome addons that can do the job: Bookmark Sentry and Super Sorter. Bookmark Sentry can help you clean up your bookmarks. Once installed, it immediately starts scanning your bookmarks. You can check its progress by viewing the addon’s options via your list of Chrome Extensions. While Bookmark Sentry is busy scanning your bookmarks for duplicates and dead links, you can customize its schedule. Once the scan has completed, the results will open in a new tab. The list will show a list of errors and duplicates. You can mass-delete empty folders, 401 errors, and duplicates. All other errors require manual action, but it’s fairly easy to delete them through the results list. Super Sorter is less advanced when it comes to scanning bookmarks and listing the results, but offers several sorting features that Bookmark Sentry is lacking, such as including putting folders before bookmarks and merging neighboring folders that have the same name. Duplicate bookmarks within each folder and empty folders can be deleted automatically. The bookmarks bar can be ignored. Are you using other browsers besides Chrome and want to tidy up bookmarks there, too? Try AM-Deadlink to Clean Up Your Bookmarks by Removing Dead Links And Duplicates AM-Deadlink: Clean Up Your Bookmarks by Removing Dead Links And Duplicates AM-Deadlink: Clean Up Your Bookmarks by Removing Dead Links And Duplicates Read More . This Windows software works with Chrome, Firefox, Internet Explorer, Opera, and bookmarks saved to a HTML file. If you need to manage years of bookmarks spread across multiple browsers, take advice from this article How to Manage Years of Browser Bookmarks: 5 Steps to Tidiness How to Manage Years of Browser Bookmarks: 5 Steps to Tidiness Have hundreds or thousands of bookmarks that you need to get under control? Follow this step-by-step process to get organized. Read More . Now that your bookmarks are all clean and tidy, it’s time to return to the Bookmarks Bar and fill it with your favorite links. You can use the Bookmark Manager to drag and drop links and folders from your Other Bookmarks to your Bookmarks Bar. The keyboard shortcut to the Bookmarks Manager is [CTRL] + [SHIFT] + [O] and it is also accessible via the menu in Chrome’s top right. I find the second trick useful for sites that I open in conjunction or for resources I access frequently. Unlike Firefox, Chrome has no option to display favicons only. Instead, you have to manually remove the bookmark’s name. Right-click on the bookmark, select Edit, clear the name field, and click Save. Note that this space saving technique only makes sense if the respective site has a distinct favicon. You can edit all custom favicons or manually add new sites by opening the addon’s options window, available via a right-click on its icon in Chrome’s addon area. The real challenge is setting favicons for bookmarklets. If you don’t mind advanced customization steps that involve HTML editing, I recommend this article [Broken Link Removed]. Alternatively, you can use a workaround that involves Firefox and the Firefox extension Bookmark Favicon Changer. Edit your bookmarks in Firefox and then import them to Chrome. Unfortunately, this will only let you change Favicons. Custom folder icons will not transfer and I have not found a straight forward way to change those in Chrome. 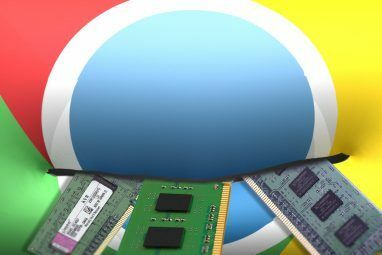 For more about Chrome, check out our Guide to Chrome or browse our Best Chrome Extensions page. And if you feel so inclined, learn some Chrome Shortcuts (PDF). The Bookmarks Bar is a great place to store shortcuts to your favorite websites. With a little bit of optimization, you can fit a lot of bookmarks and make it look neat at the same time. Where do you store links to your most used websites? Do you use the Bookmarks Bar or which other method do you prefer? How do I move bookmarks that are in folders not called Other Bookmarks? These were imported from Firefox but drag-and-drop doesn't work!! Drag-and-drop not working sounds strange. What happens when you try it? Did you try opening the Bookmark Manager and moving/sorting from there? Right-click into the bookmarks bar and select Bookmark manager. Or open the Chrome menu and go to Bookmarks > Bookmark manager. what happens is nothing at all, and yes I was using the Bookmark Manager ... not much help there! I am really not liking the bookmarks bar and how much trouble it is. Hide it, unhide it. Limited space. Why not just have one small icon. You could put it right next to that little house. I'm sure they would be quite happy together. So far, I am going to say I am not only unimpressed with chrome, but if firefox will start working again, I am going right back to them. Chrome is definitely not user friendly or nice to look at. Very chunky and clunky, like having all your car keys suddenly turn into those big plastic ones you give to teething kids. What isn't working in Firefox? 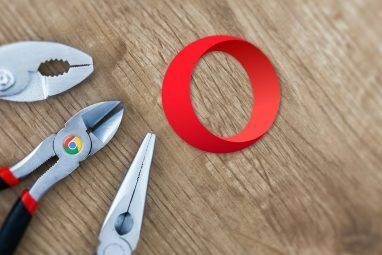 Have you tried Opera? It even supports Chrome extensions. Neither Bookmark Sentry nor Super Sorter are valid or working anymore. I'm new to Chrome. The "favorites bar" and needing multiple steps to get to the bookmark manager is much less user friendly than the "Favorites" drop-down in IE. Wish it was an option with Chrome. my 8 identical brown folders now! Patti, don't your folders have names and aren't the names shown on the Bookmarks bar? Try to click Save instead of Enter when you change the folder name. I'm not aware of a setting that will hide folder names, so I'm clueless as to why you would have folders without text sitting in the Bookmarks bar, provided the folder has a name to start with. Any way to remove favicons from the bookmarks bar entirely and JUST use text? Although this article is about a year old, it was informative... damn my OCD! Thanks. Thanks for this. I have been using Chrome for a hwile and my bookmarks have turned into a hot stinking mess.. With these two things I finally got it the way I want it.. I hate that I miss the order in which the bookmarks were added but I can live without that for this. Thanks!! I going to try all three at the same time!! Let us know how it works for you, Aaron! Well, the sorter and sentry didn't work that well... guess it's just because my chrome bookmarks are already quite organised. the icon one is fine but I won't spend too much time in editing my icons. Sentry not working for me. No matter how many times I delete an individual bookmark, it's there on the next scan. Since there's no "save changes" button, perhaps it was designed to work only in an all or nothing category manner. The one missing addon in Chrome is a multi-row bookmark bar and multi-row tab bar. Firefox has them fortunately. Thank you very much :) I was just starting to go through the pain of organizing bookmarks manually. I noticed and now worried that i could have dead links in my bookmarks because I book mark a lot of new sites. Is there a program that allows you to save all your bookmarked websites as PDFs? I know there is a bunch of programs that will allow you to save webpages as PDFs but looking for one that looks at your book marks and saves all to PDFs with one click. Well less clicks than going to every website and click save as PDF. Form the top of the head I'm afraid I don't know of a tool that can do that automatically. But you could ask a question on MakeUseOf Answers< and see whether anyone else knows a way for you to save the content of your bookmarked pages. Thanks for the tip about changing favicons - useful! The forum post you quote is from early 2012 and it does not say anything about malware or why the extension disappeared briefly. Actually, you can find the addon on the Chrome Web Store. So apparently it was added again and is working just fine. Also I didn't observe suspicious behavior and recent reviews from other users don't indicate malware-related issues.